You need to read GFY's recap of the Miss Universe national costumes, which includes the drama of Miss Lebanon, Miss Israel, and a selfie. Why a generation of adoptees is returning to South Korea. Wow. I was really moved by this story and I learned a lot about the complicated emotions some of these grown-up adoptees are now feeling. Disney princesses with realistic hair. 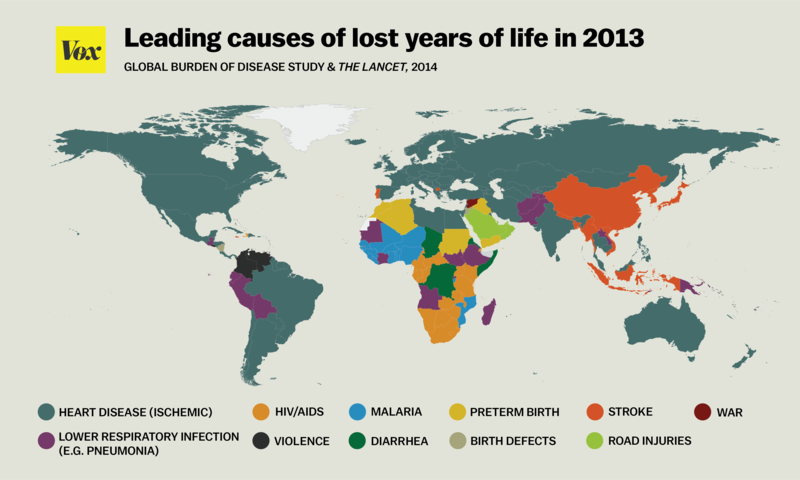 Leading causes of lost years of life (early death) around the world. On Michelle Obama: The Economist explains the Saudi dress code, and the NYT talks about the bold stand she didn't actually take.